In line with the policy of bring the AHT message to the people of Canada, Orion Eco Technologies has participated in two events in the space of 15 days! 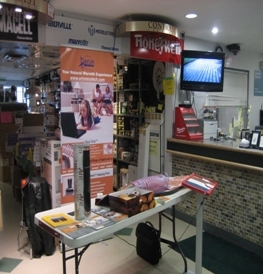 On November 23rd it participated in Essex County’s largest Electrical Products Exposition presented by The Essex Chapter of the Ontario Electrical League. The Ontario Electrical League is a non-profit, Provincial Organization, dedicated to 21 Chapters with over 2500 members from the Electrical Industry. League members include electrical contractors, electricians, municipal utilities, electrical inspectors, distributors, manufacturers, manufacturers representatives, consulting engineers and educators. The League’s role is to communicate, educate, represent and promote Ontario’s electrical industry through Chapter meetings, the “Dialogue” magazine, Contractor Newsbrief, Chapter Newsletters, conferences, seminars, the League Web Site, social media, promotional programs and community activities. 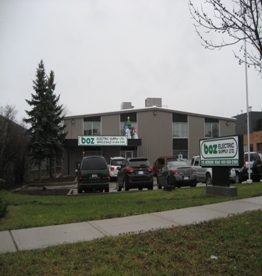 On December 1st and 5th Orion Ecotech ran a Road Show in BOZ Electrical Supply, a large electrical supply superstore in Richmond Hill, Ontario. Both events were very successful in spreading the AHT advantages in the Canadian market and we would like to congratulate Mr Sergey Petrenko and his Orion team for their hard work, professionalism and deserved success!